The era of the economic crisis has been consistent with the sales of books; people do not buy new books and hence they do not read. Most make out with what is given to them for free or with television. However, reading books can be an "antidote" to the economic crisis, and it can help us in many ways. In an article by Roula Tsoulea (Ta Nea, 15-16 September 2012) titled "Exercise the Brain With a Book", she highlights the various benefits of reading, referring to certain signs that show the benefits of reading books, based on recent scientific discoveries in various studies. Reading books broadens the attention of people, their concentration. When the reader is reading a novel it can encourage the brain "to think in a certain order and to correlate causes, consequences and the significance of things." Studying prevents stress and anxiety. Reading is "more efficient as a de-stresser than music, a road trip, sitting down and drinking coffee, or playing video games." With only six minutes of reading a day the level of stress in the body is reduced by 68%. Reading trains the brain, it exercises the brain; "it activates the entire brain." Studies done "with operating MRI's of the brain showed, when reading about imagined landscapes, sounds, smells and tastes, similar brain regions are activated" just as they would if we saw and experienced them in reality. Study improves eyesight and hearing, since "it improves the manner in which the brain processes visual information and our acoustic ability." Of course, when these abilities are improved, it is consistent with "the improvement of our capacity to perceive speech." Reading books daily from childhood "reduces the risk of growing up showing the characteristic 'plaques' in the brain that indicate Alzheimer's." Thus, by reading people are protected from dementia. Finally, re-reading the same book again is a great help to a person. Re-reading a book "acts as a sedative to our psyche, causing us an ever greater sense of satisfaction and increased knowledge and spiritual awareness." Also, by reading a book again we are reviving emotions that were aroused in the reader the first time, but more intensely. All of these benefits refer to the biological organism of man. However, studying a book with good content gives a person a right direction to overcome many problems. 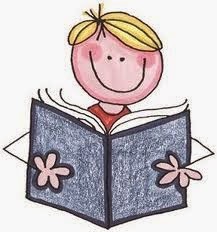 Therefore, during the economic crisis the reading of books will benefit the people. Source: Ekklesiastiki Paremvasi, "Άσκηση τού μυαλού μέ τό διάβασμα", October 2012. Translated by John Sanidopoulos.